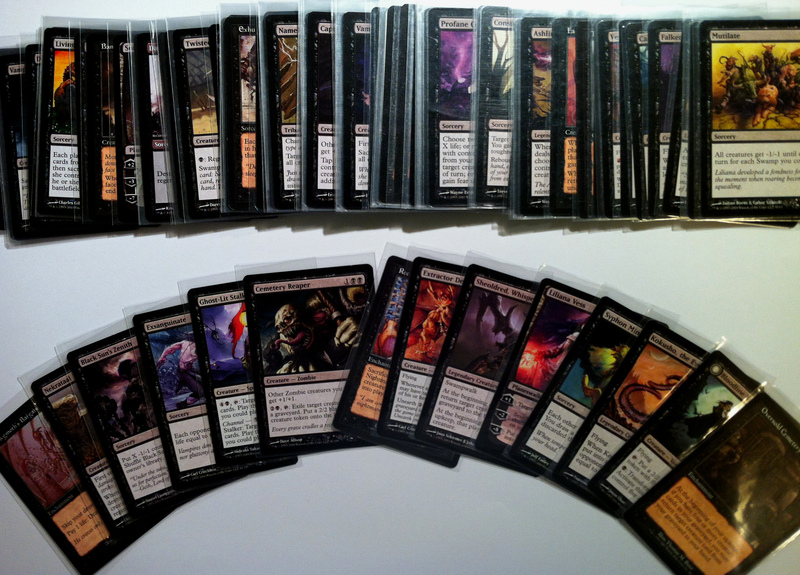 State of the Cube – RTR Update Part 3: Black (Rebel Motorcycle Club) | Action Points! Interestingly, Black has the most number of sorceries of all the colours. 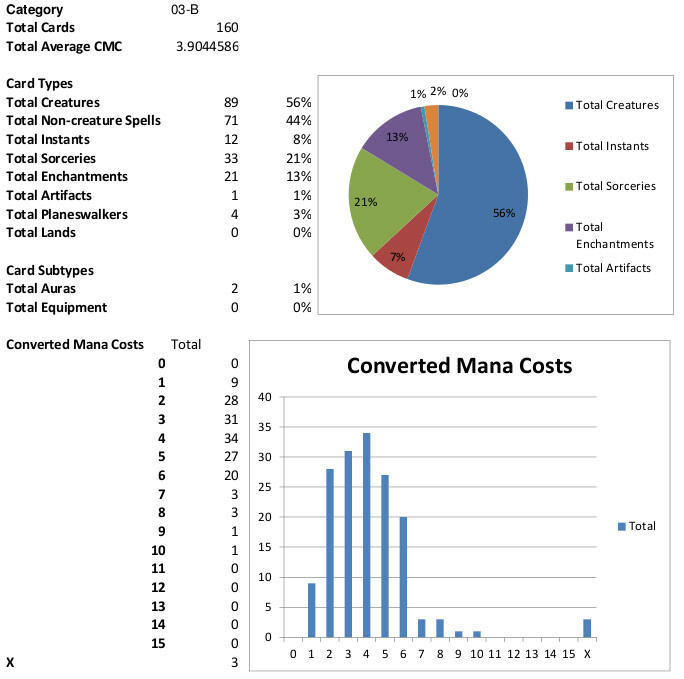 It also has the highest average converted mana cost, with a glut at the 4-6 cost range, and also the highest mana intensity/coloured mana requirement. It also shares the most number of large creatures with Green, which is something I may want to tweak. The Dead Live! The Dead Live! The main theme of Black is reanimation. Black is the best at bringing creatures and sometimes artifacts back from the graveyard, either into hand or directly into play. White and Green get a little reanimation here and there, but none can compare with Black. Aside from reanimating your own creatures, since this is multiplayer, Black also gets more effects that can reanimate from any graveyard. This ties into Black’s other themes of killing, sacrificing and forcing discards from hand. It also plays nicely into Blue’s love for milling, and is the primary focus of the Blue-Black combination. Black is all about taking the cycle of life and death, and perverting the hell out of it. Black is the best at what it does, and what it does is kill things dead. It even adds variety to the wanton destruction. You can straight up destroy creatures, or you can force your opponents to sacrifice creatures, or weaken them with shrinking effects until they die. Take your pick: Black gets the deed done. Not content with killing other players’ creatures, Black also likes killing off its own creatures. It gets many sacrifice abilities and mass removal effects. Black also relishes in killing so much that it gets benefits from killing creatures. So Black is great at dealing with creatures. However, it has no way to deal with most other card types. Granted, you usually can get along just fine killing every creature your opponents put down. This is multiplayer, though, and you’re more likely to run into powerful artifacts and enchantments. One of the only ways for Black to deal with them is to get the opponent to discard them, or straight up remove them from the library. The last big theme of Black is draining life from opponents. Black likes to deal damage to opponents and get life out of it, and then use that surplus life to pay for other spells or effects. Black treats life as just another resource to be used. The other minor themes of Black are also present in the Cube, but not in high concentrations. Black has other effects like tutoring, paying life to draw cards, increasing production of Black mana, and some milling. Black is super focused on killing and reanimating, and the challenge I’m finding with Black is that its other themes are very insular and require heavy commitment to Black. Cards like Corrupt and Phyrexian Obliterator are really powerful, but also require a strong commitment to Black. I’m thinking of increasing the focus a little more on shrinking effects, possibly using Infect creatures and some poison counters to give Black an alternate path to victory. The other possibility is to put in some more life draining effects, and have that tie in to the Extort mechanic in Gatecrash.